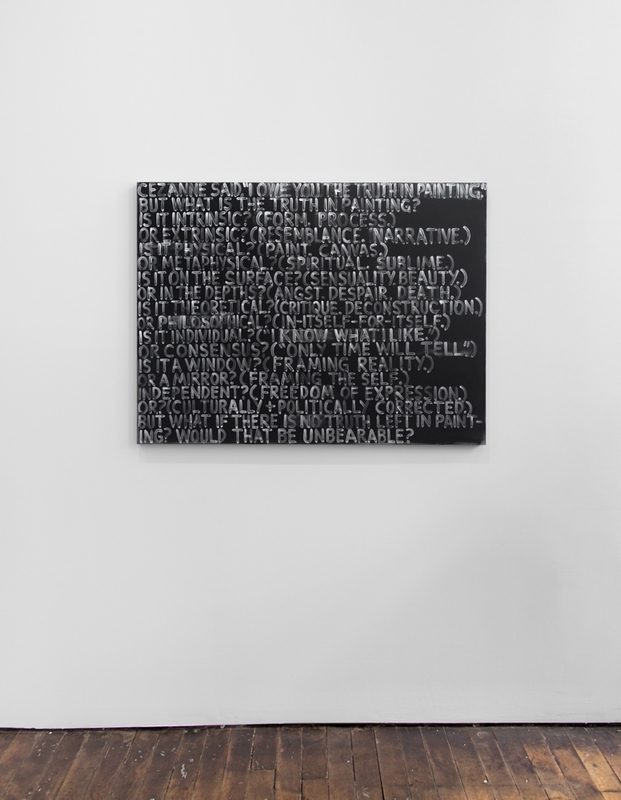 Words and phrases are scattered across the whole surface. 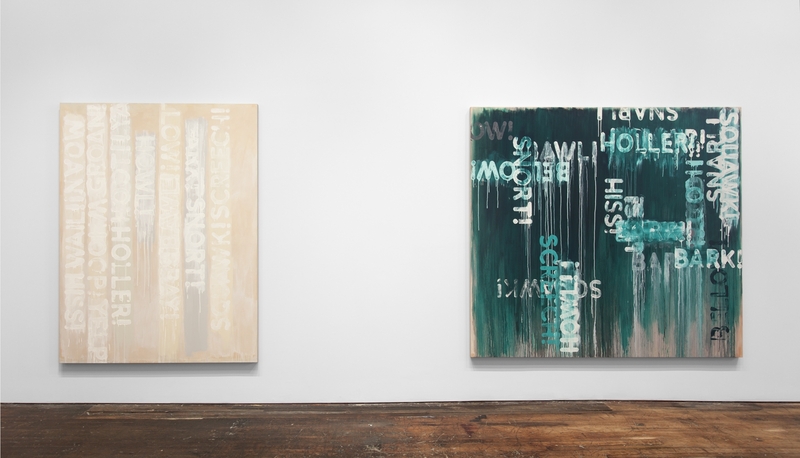 They are often painted over each other, in many cases obliterating themselves in a palimpsest of illegibility. 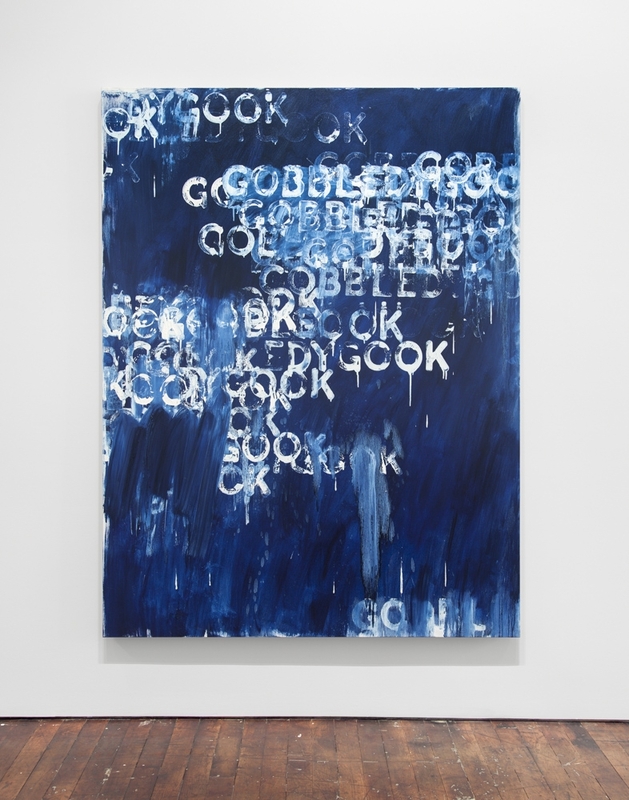 Some paintings simply repeat a single word, like “gobbledygook,” over and over again, rendering the text itself gobbledygook. 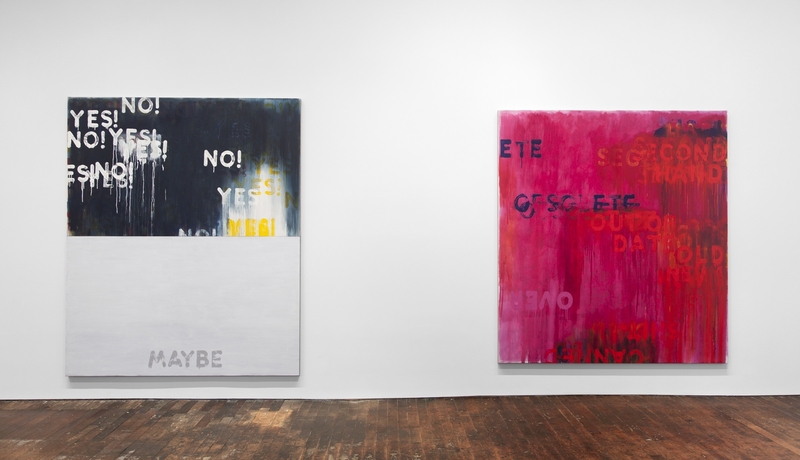 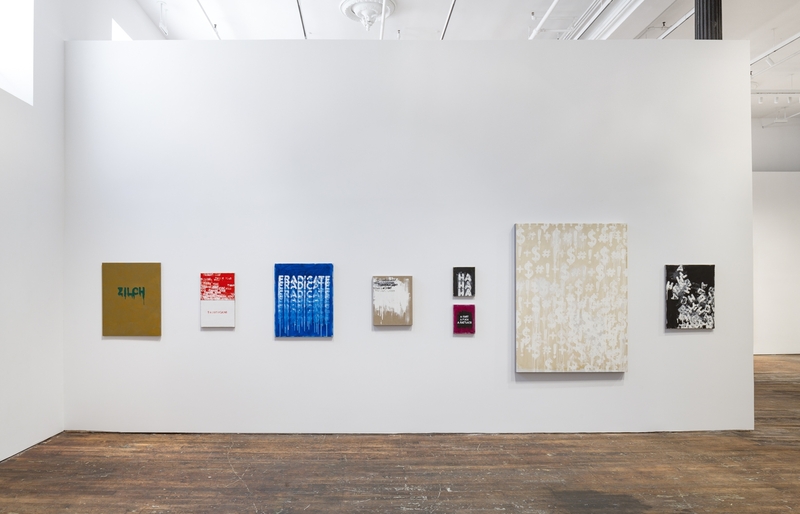 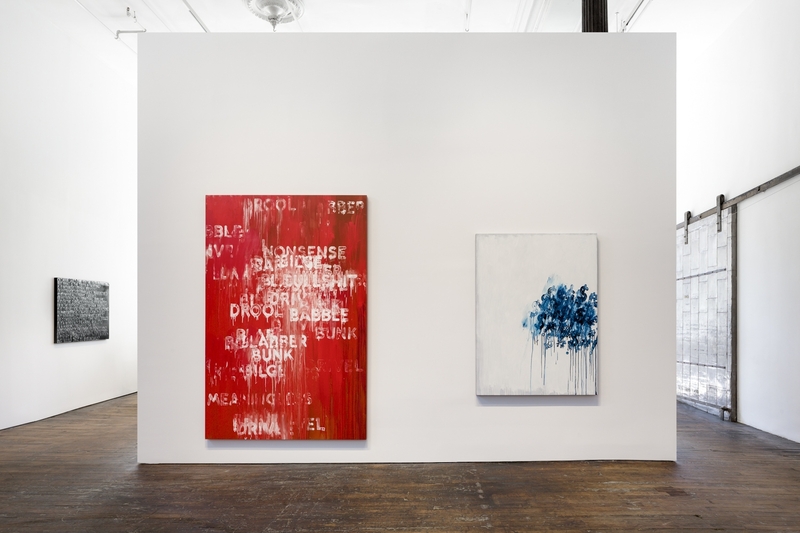 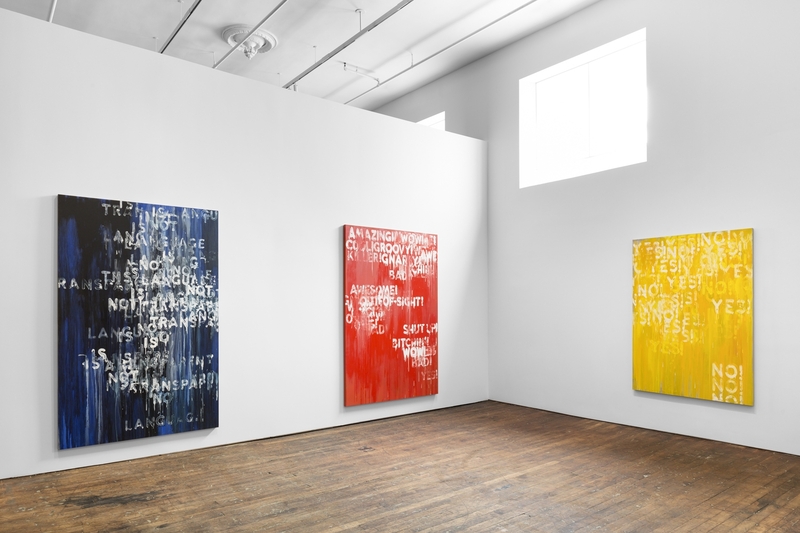 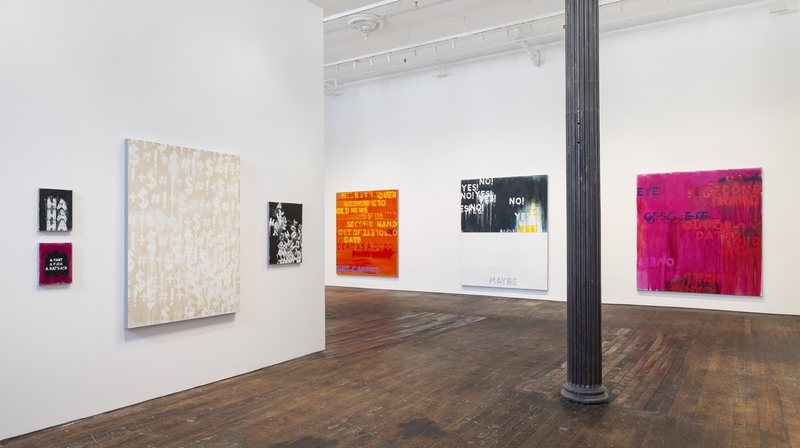 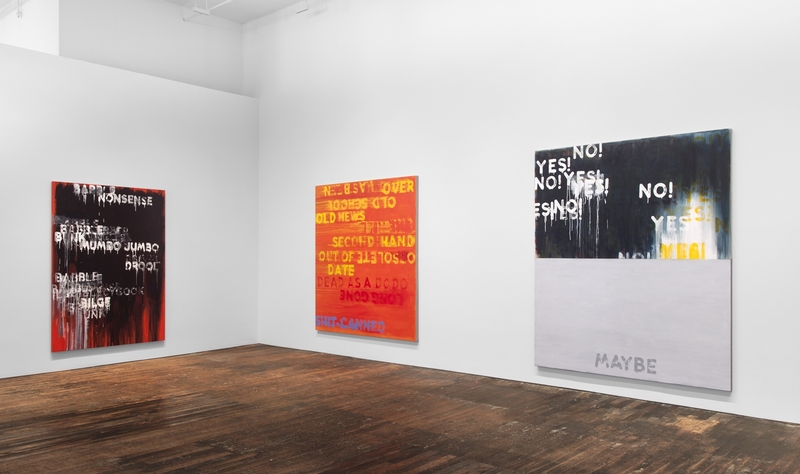 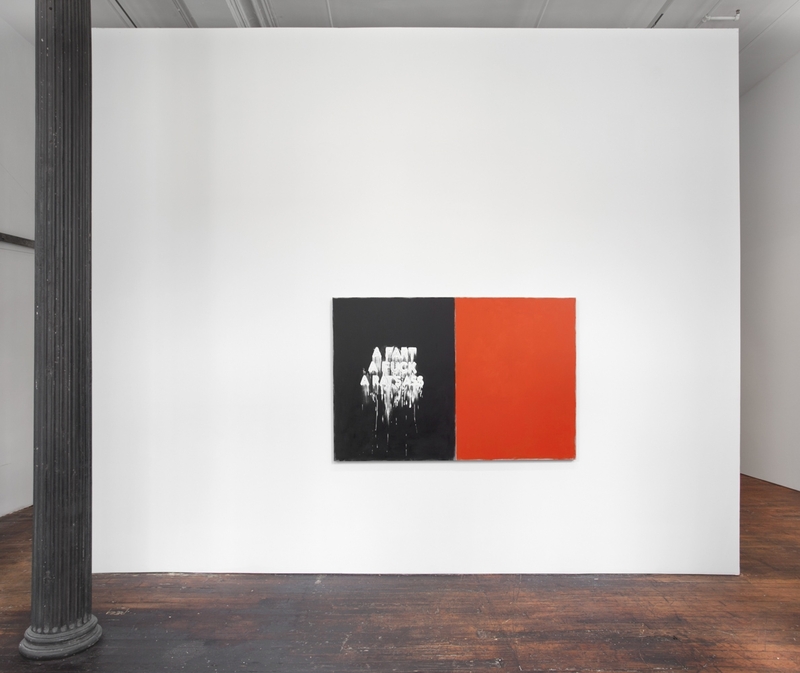 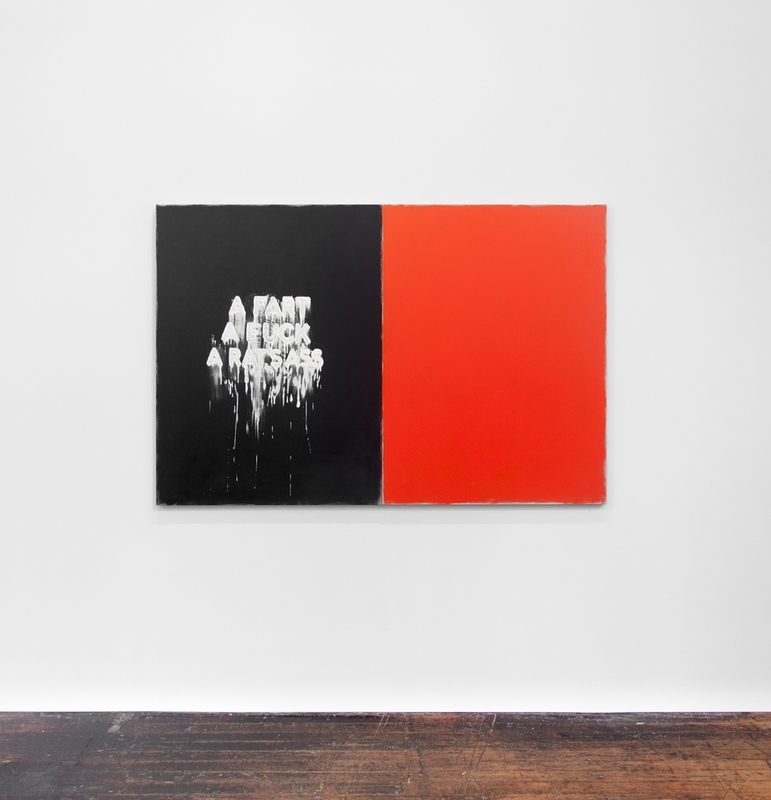 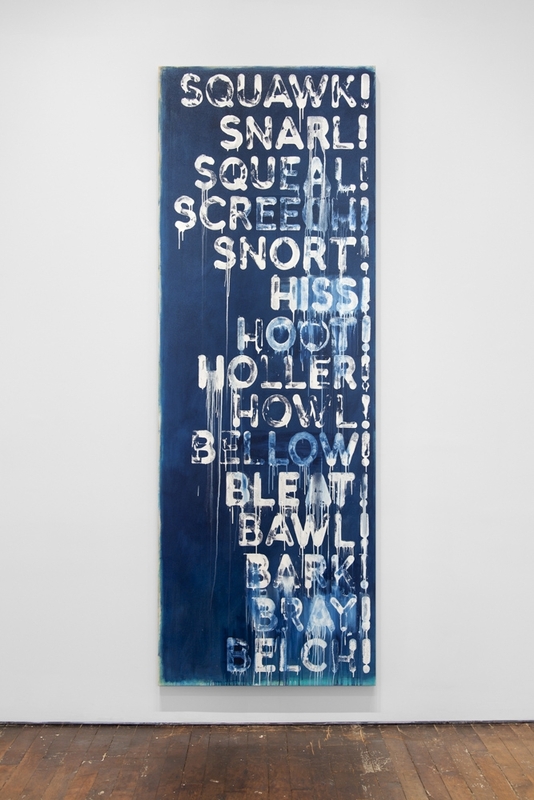 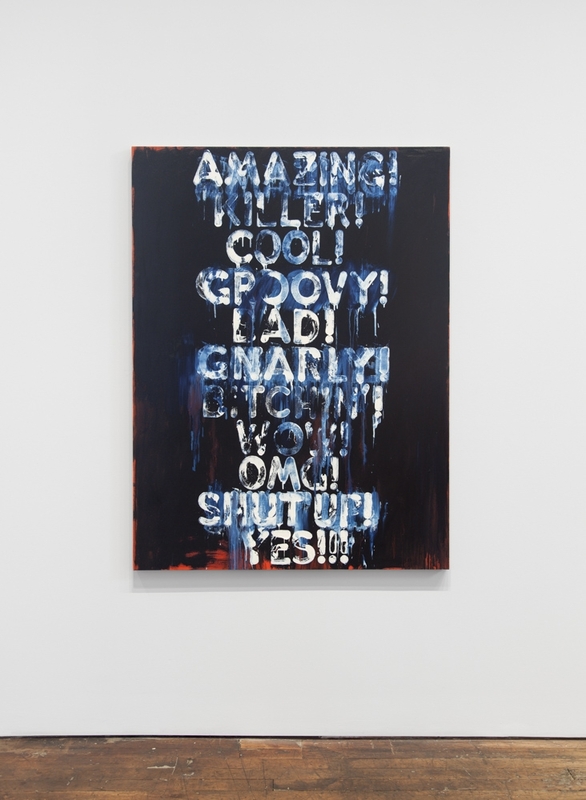 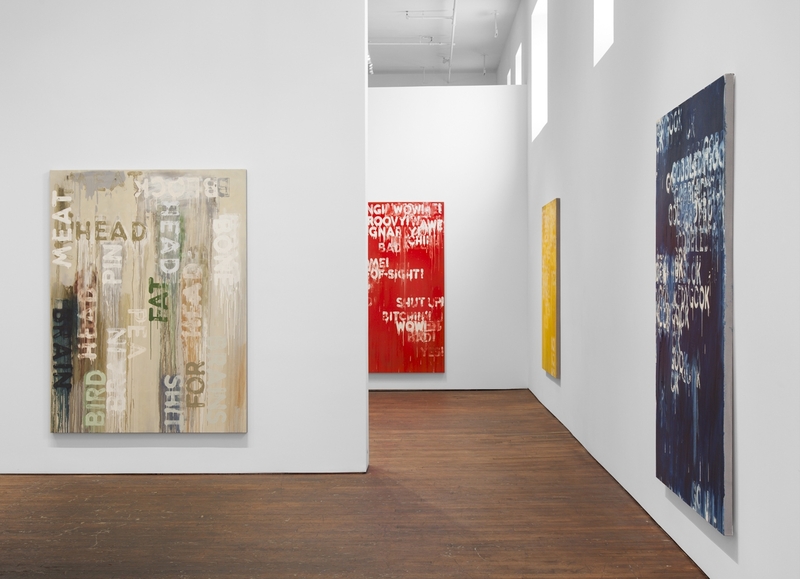 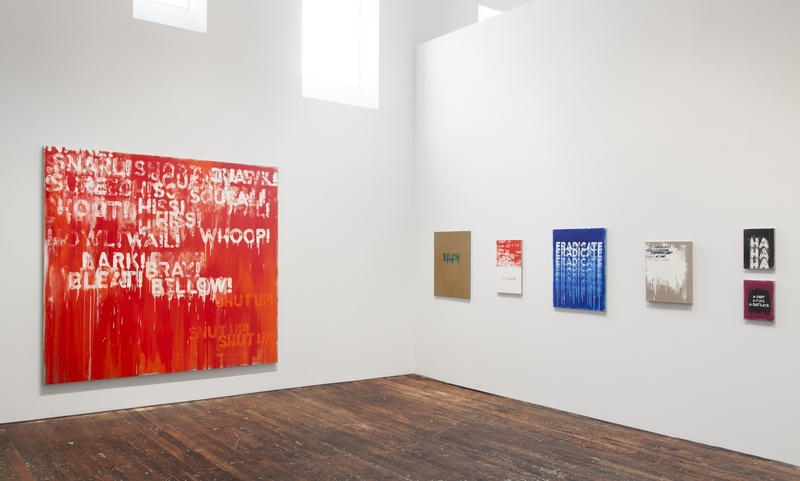 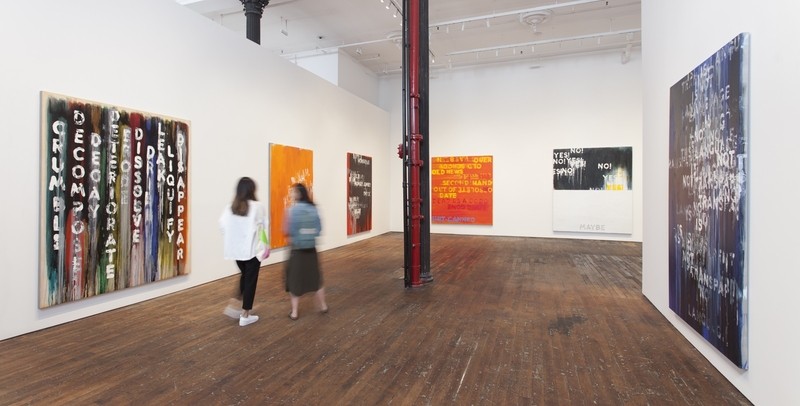 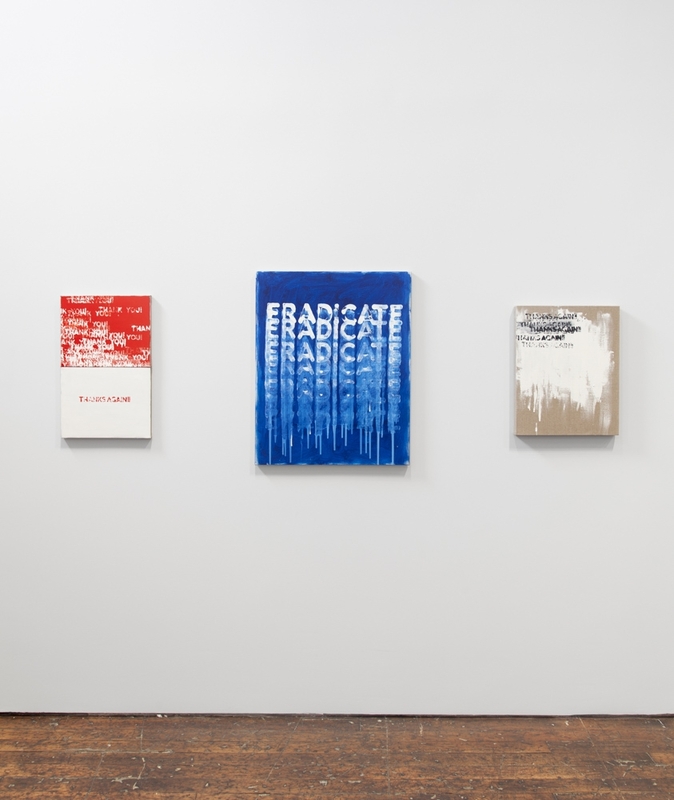 “Bochner’s runny paint literally drools, oozing letters of cold, harsh, impersonal sentiment” (Sigler). 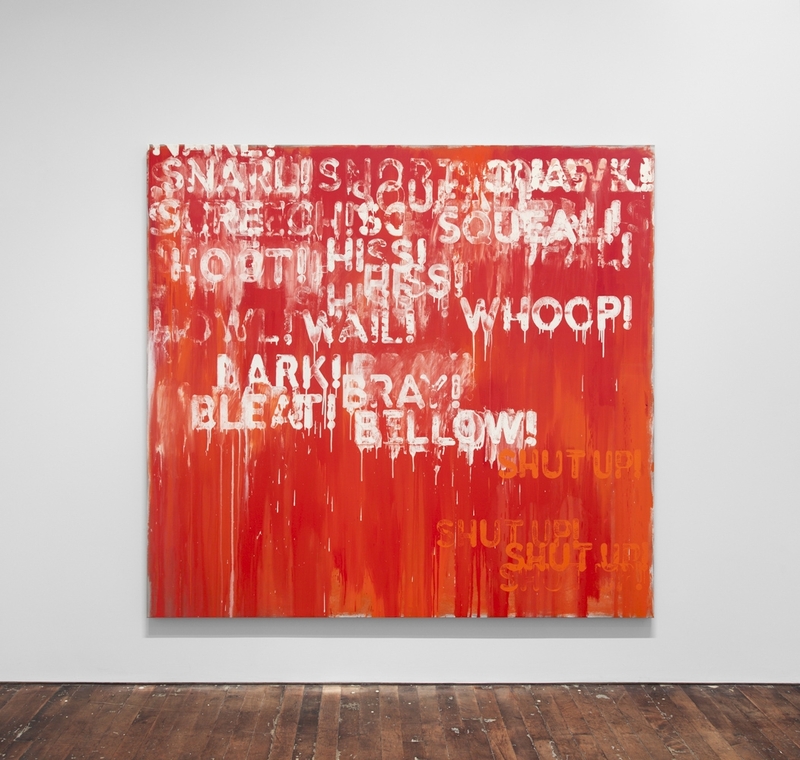 In the torrent of paint, any belief in language as communication is washed away.